Thanksgiving is all about giving thanks and being with your family and loved ones. What better way to spend this warm holiday at the best events than here in our very own Miami! Below you will find some of the greatest Miami Thanksgiving events you’ll want to be at, PLUS creative Thanksgiving craft and game ideas for children or cook homemade meals with special Thanksgiving recipes for your children to help in the comfort of your own home. Before I begin to fill you in on all of the fun ideas you’ll have for Thanksgiving. Before I begin to fill you in on all of the fun ideas you'll have for Thanksgiving, bringing out some good old history would be great to set the Thanksgiving mood. Long ago, in the early 1600s, a group of people in England wanted to pray and worship God in their own way. The King controlled the Church of England, and everyone was ordered to go to the same type of church. Anyone who dared to disobey would be sent to jail. The group of people who wanted to free the Church of England from the King's rule, making it "pure" was known as the Puritans. To escape the rule of the King and his church, around 100 men, women and children left their homeland, with their dream of religious freedom. They sailed on a ship, the Mayflower, on a pilgrimage to the New World. These brave travelers, the Pilgrims, landed in Plymouth after their long six-week journey. It was December 11, 1620. The land was strange to them, and nothing seemed familiar. The winter was long, cold, and very hard for the Pilgrims. Luckily, Native Americans helped by supplying them with seeds and food, teaching them about their new home, and giving them the skills needed to survive in a strange, new land. With seeds and plants received from the Native Americans, the Pilgrims planted crops. The fall harvest was a good one. To celebrate their good fortune, the Pilgrims had a feast of thanksgiving. Many foods were cooked for the feast - wild turkey, duck, and venison were probably served, along with fish, pumpkins, squash, corn, sweet potatoes, and cranberries. Captain Miles Standish, the leader of the Pilgrims invited all of the Native Americans who had helped them so much during their first year. The feast lasted for three days! This harvest feast in 1621 is often called the "First Thanksgiving." Over the years, the day we now celebrate as Thanksgiving became an important tradition in the United States, a day of giving thanks for all that we have. In 1941 President Franklin Roosevelt made Thanksgiving a national holiday. Now that we have set the Thanksgiving mood, check out some of the greatest events for everyone to enjoy. Along with fun activities to add to the celebration! Who doesn’t love a good parade? Or even better, a parade with all your favorite all-star athletes and celebrities? The Annual Winternational Parade features bands, dance troupes, professional floats, community organizations, and much more. Admission to the Winternational Parade is FREE. Usher in the 2016 holiday season as you marvel at a beautiful Christmas tree, located in Miami’s own Bayfront Park. This 50-foot-tall tree is bedecked with thousands of shiny white lights and is a sight to see. Visitors can also enjoy seasonal music and delicious local food trucks (do you like how we’re all about eating this Thanksgiving? ), and, of course, the wonderful festive atmosphere. It’s a great family event, and is also conveniently located near the shopping mecca of Bayside Marketplace. Thanksgiving Day fun for the whole family can be found at Boomers. This establishment has a huge game room with the latest games and some old classics. There are even some games that give tickets that can be turned in for prizes at the in-store redemption center. Mini golf, a climbing wall, bumper cars and laser tag are also available at Boomers. They even have an adult and older kids Go-Kart section, as well as a small children Go-kart section. Prices vary depending on the activity. What a great way to spend Thanksgiving Day with the family. On Thanksgiving, it's not ALL about the turkey; there are some other important things you should not forget: your sides! Your little helpers are the perfect candidates for these two knife-less, tasty side recipes. They'll feel like pros and you'll have time to tend to your bird. Have your kids help you mash the root vegetables in this tasty side—they'll have a ball, then will lick the masher when they're done. Place potatoes, celery root, and horseradish in a large pot. Add water to cover by 1”. Bring to a boil, reduce heat to medium-high, and simmer until vegetables are tender, 25–30 minutes. Drain, reserving 1 cup cooking liquid, then return vegetables to pot; add sour cream, Dijon mustard, and butter. Using a potato masher, coarsely mash vegetables. Add reserved cooking liquid by tablespoonful if mash is too stiff and season to taste with salt. Just like brownies, this measure-and-mix recipe is kid-friendly right up until it goes into the oven. Preheat oven to 350°. Butter an 8x8” baking dish. Whisk flour, cornmeal, sugar, baking powder, salt, and baking soda in a large bowl. Whisk eggs, buttermilk, and milk in a medium bowl. Whisk egg mixture into dry ingredients until just combined (batter will be slightly lumpy). Mix in 3 tablespoons of butter, scrape batter into baking dish and bake cornbread until a tester inserted into the center comes out clean, 25–30 minutes. PREPARE AHEAD: Cornbread can be made 1 month ahead. Wrap tightly and freeze. Nothing is more fun than a silly fill-in-the-blank game, and this is one that all of the children can play together. As a bonus, they might learn a little bit about Thanksgiving history! To buy got to etsy.com You can get 3 for $14. If the weather is nice, send the children out to the backyard to search for a host of autumn items, like pine cones and orange leaves, while the parents finish dinner. If the weather isn’t cooperating, or it’s too dark to go outdoors, you can host a scavenger hunt in your home too. Just hide paper turkeys in various rooms of the house, and include a list of clues about where kids can find them! For free printable sheet for scavenger hunt click here. For a kids’ table with older children, this board game is a guaranteed good time. The junior version has easier adjectives and nouns that everyone will know. To buy, you can go to amazon.com for $12. Celebrate Thanksgiving’s favorite feathered friend with this easy to craft festive paper turkey hat. • Cut two to three strips about 2 inches wide from your choice of construction paper and tape together. Measure to comfortably fit your head and tape to secure. • Cut out templates and trace shapes onto paper. You will need two wing shapes and 3-4 feathers. Cut wings, turkey body, beak, waddle and feather shapes from paper using assorted colors. • Glue google eyes, beak and waddle onto turkeys head and let dry. The paper pilgrim craft is an easy Thanksgiving’s Day craft made from materials you most likely have on hand. This pilgrim craft also makes a great Thanksgiving Day decoration as well. • Paint the small paper plate beige and put aside to dry. • While the paint dries, print the template and cut out the pieces. • Trace the paper plate ‘wedge’ onto a large paper plate and cut the piece out. • Trace the rest of the template pieces onto construction paper and cut them out. • Glue the pieces of the pilgrim hat together. • Glue the black wedge to the paper plate wedge piece, and then flue the finished piece to the bottom of the beige paper plate. • Glue the hair to the top of the beige paper plate. • Glue the hat to the top of the beige paper plate, overlapping the hair. • Use crayons to draw on the face for your Pilgrim boy. • Trace the paper plate ‘wedge’ onto a large paper plate and cut the piece out. Trace the other two edge pieces onto a paper plate and those pieces out as well. 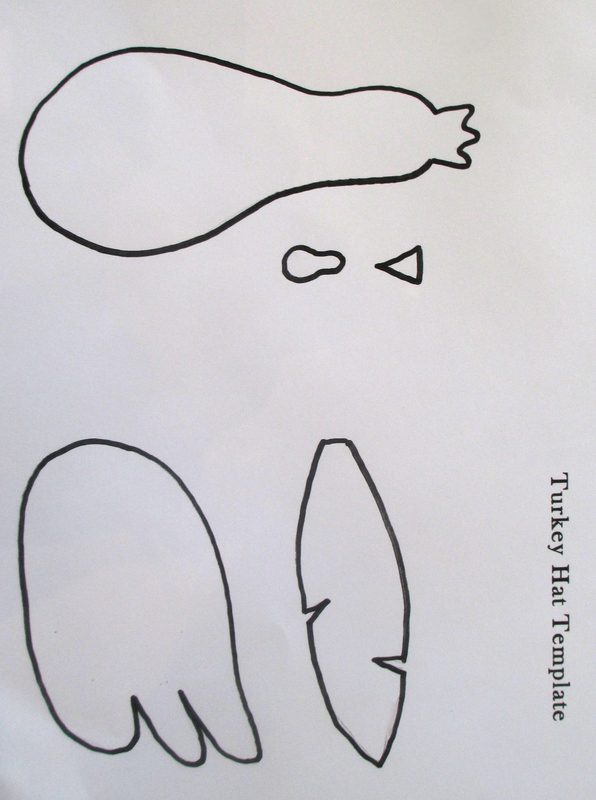 • Glue the paper plate pieces of the pilgrim bonnet together. • Glue the black wedge piece to the paper plate wedge piece and then flue the glue the finished piece plate pieces of the pilgrim bonnet together. • Use crayons to draw on the face for your Pilgrim girl. Hopefully these fun activities and homemade crafts are a great addition to your family’s Thanksgiving weekend and create unforgettable memories for everyone.